The Blackfeet people have occupied the Rocky Mountain region for more than 10,000 years. In the 18th and 19th centuries, the four Blackfeet bands—the North Piegan, the South Piegan, the Blood, and the Siksika—occupied much of the northern plains and were nomadic, following the seasonal grazing and migration of buffalo. Members of the Blackfeet Nation in the United States primarily descend from the South Piegan. To this day, we use the land for cultural and spiritual purposes. 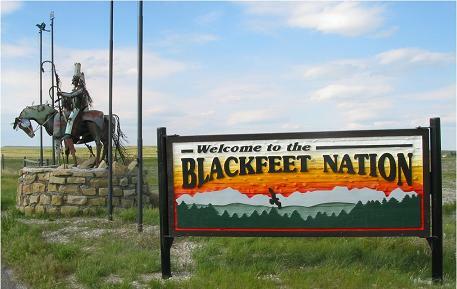 The Blackfeet Nation works hard to retain its culture in the modern era. Annual celebrations of Blackfeet culture include the North American Indian Days Celebration and The Heart Butte Indian Days, featuring traditional dancing, singing, drumming, stick games, and rodeos.